In this companion book to Fire Engine No. 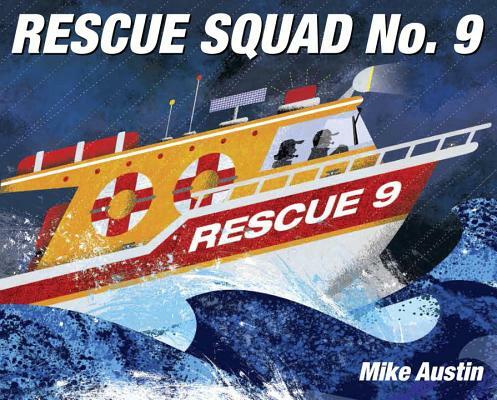 9, Rescue Squad No. 9 must spring into action when a young sailor and her dog are stranded during a storm! Follow the crew as they scramble aboard their helicopter and speedboat, racing to the rescue through the waves and winds. The high action is communicated through minimal sound words and bold, graphic art reminiscent of that in Donald Crews's transportation books.